In some cases, traditional metal braces from American Orthodontics are the best option for aligning your smile and improving dental health. While they may not be the quickest or newest method of straightening teeth, metal braces in Rancho Cucamonga have made real technological advances in recent years. 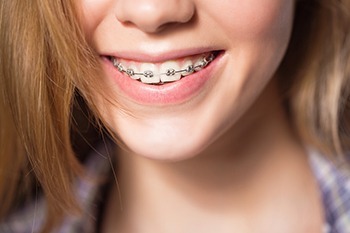 The way that metal braces are used is not the same as it was 10 or even 5 years ago – they are made of materials that are now stronger and more resilient to standard wear and tear. While there are highly advanced orthodontic treatments that give you faster treatment, nearly invisible treatment, and maintenance-free treatment, there is a reason that traditional metal braces are still around. Their process for aligning your smile and your bite is still incredibly effective. When discreet treatment isn’t a necessity, traditional metal braces are still a highly-reliable and, in some cases, preferable treatment option for straightening teeth. To see if metal braces are the right treatment for you, call 909.945.0024 or click here to schedule your FREE Orthodontics Consultation today. Your assessment includes a thorough orthodontic exam, x-rays, and a comprehensive consultation with our orthodontist. As a bonus, you will also receive a gift bag full of goodies, $1,000 off treatment, and 1/2 off in-house teeth whitening after treatment! Contact our friendly office today – we can’t wait to help you achieve your best smile!